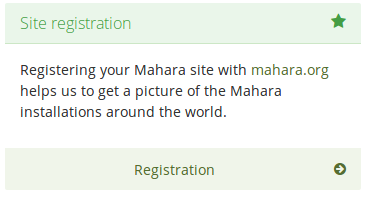 You can register your Mahara site at any point in time. You can preview the data that would be sent on a weekly basis. All information is sent anonymously. 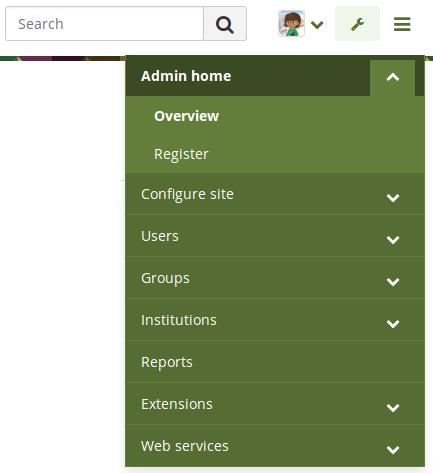 We will only know, for example, which version of Mahara you are running, how many times blocks or artefacts have been used, how many users you have etc. 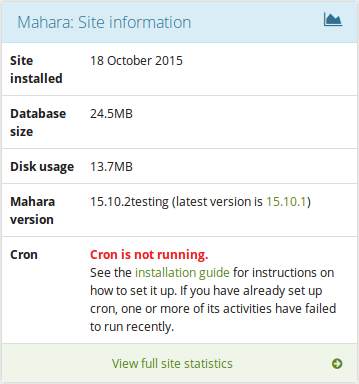 Data included: Click this panel to preview the data that will be sent from your site. 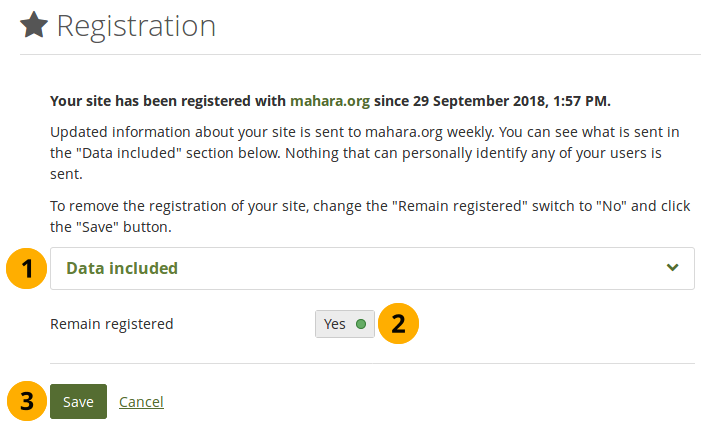 Register with mahara.org: Set this switch to “Yes” if you wish so send regular updates about your site to the project. These updates are based on changes in your site and include only anonymous updates once a week. This setting was renamed in Mahara 18.10 to make it clearer that the registration and sending of weekly data happens at the same time. 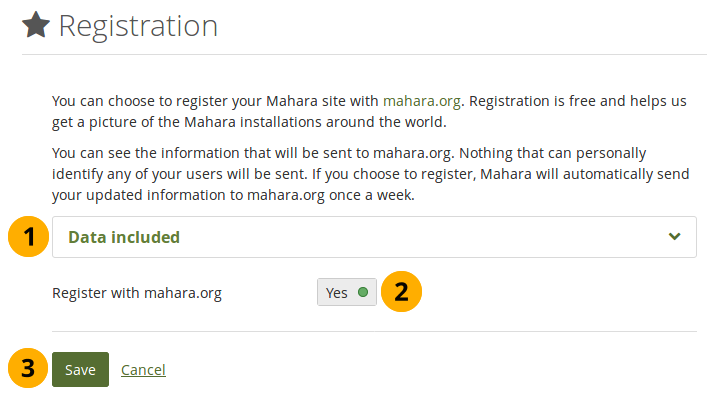 Click the Save button to finish your registration with the Mahara project or click Cancel to abort. 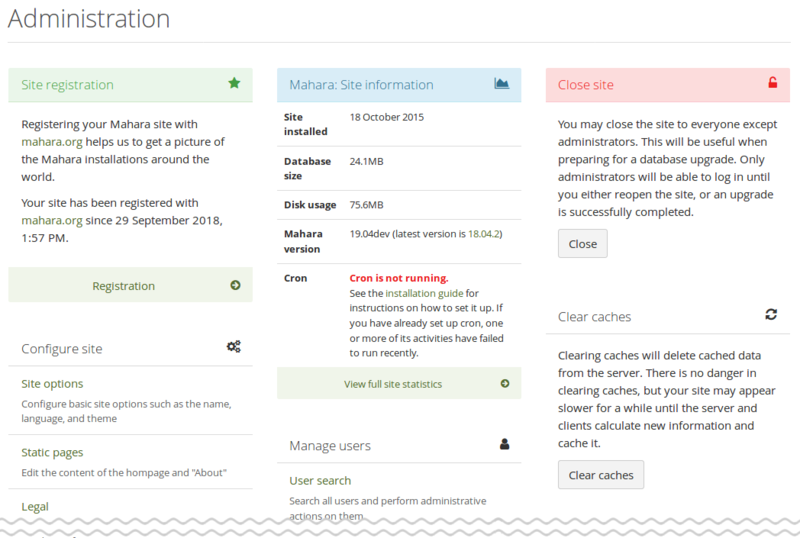 You can decide not to send weekly anonymous updates about your site to Mahara at any point. If you revoke your registration, no more data will be sent. 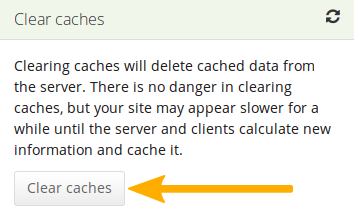 Data included: Click this panel to preview the data that is currently being sent from your site. 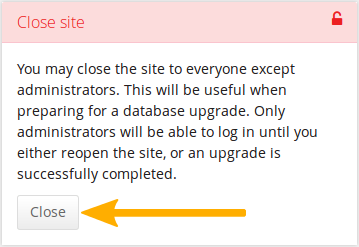 Remain registered: Set this switch to “No” if you no longer wish to send regular updates about your site to the project. Click the Save button to finalize your change or click Cancel to abort.